What a joy to take pictures of a ‘new arrival’ after my return from Europe. 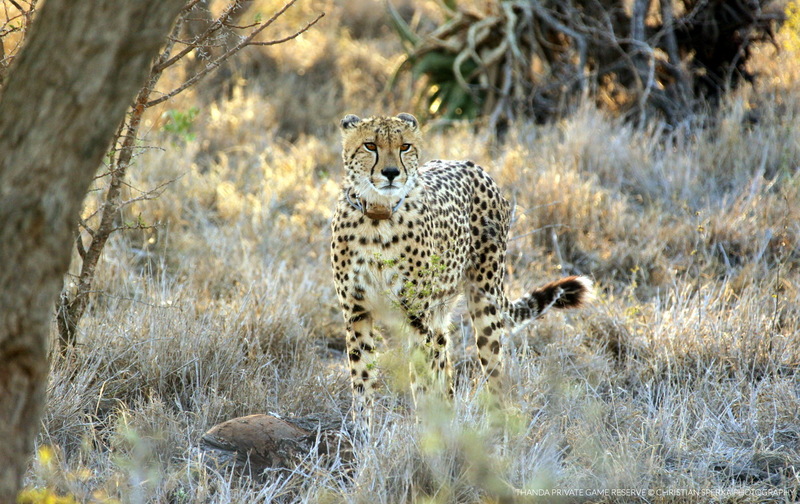 Thanda welcomes the arrival of a new male Cheetah, which originates from Sanbona Wildlife Reserve in the Western Cape. 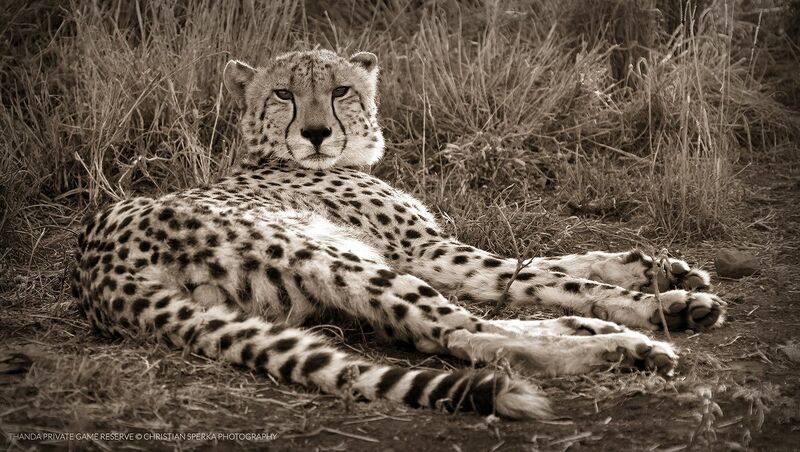 He is a spectacularly handsome creature and possibly the largest Cheetah we have ever seen. 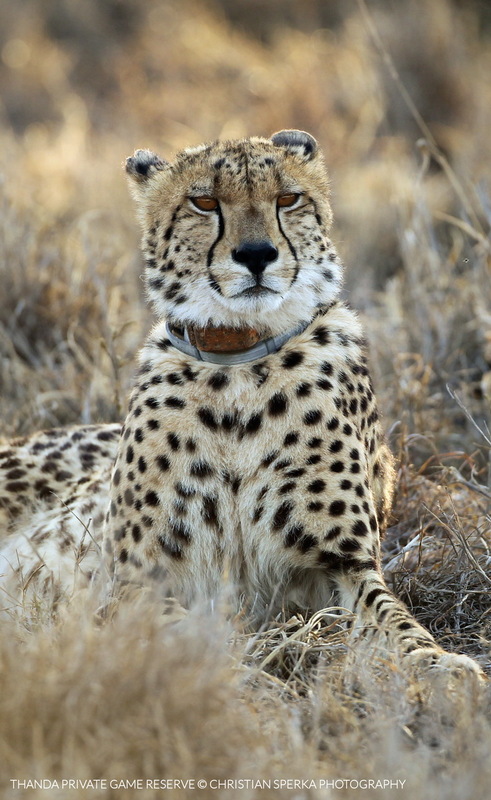 This male was introduced in an effort to strengthen the genetic pool at Thanda and this was done in conjunction with The Endangered Wildlife Trusts’ Cheetah meta population management programme. Many thanks to Sanbona and EWT for all the assistance and effort. To help him to get used to the Thanda surroundings our new Cheetah will spend a while in a boma and he will wear a radio collar, to ensure that our wildlife team can keep an eye on him as he settles into his new home. This is a great picture and a beautiful male cheetah. What is the collar on him for because it looks like there are two on him? Thanks for your comment Darlene – The second collar is to protect him from parasites (flees etc.) while he is in the boma. He is handsome Christian! 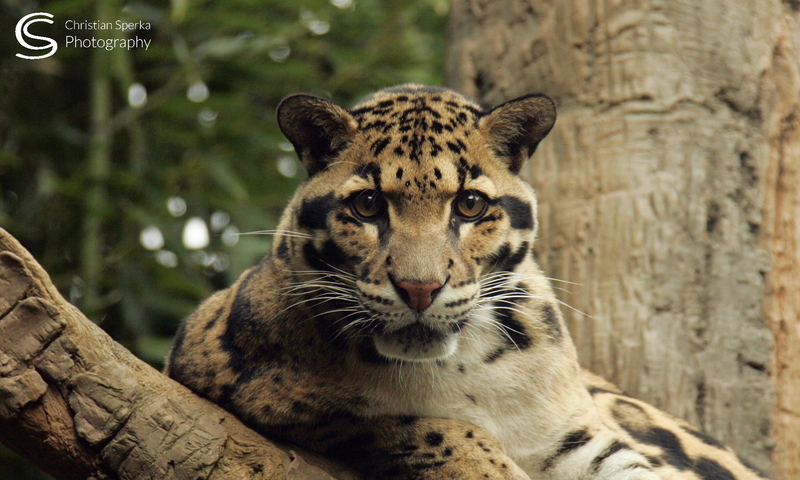 He looks like quite a big male cheetah!